Windows updates on mobile are speeding up. 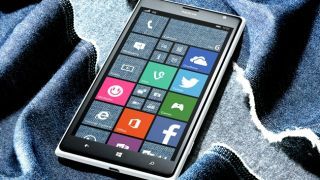 Waiting for mobile OS updates to reach your shiny handset is one of the most frustrating (first world) problems there is, so it's encouraging to hear that Microsoft is planning to take matters out of the hands of operators and manage Windows 10 Mobile updates itself. That means new versions should arrive on your mobile device in much the same way as they do on your laptop or desktop. It's the approach used by Apple for iOS and should minimise problems with fragmentation in the years to come. "Today, we're announcing this continuous update process applies to all Windows 10 devices, including phones," Microsoft said in a blog post. Not only does it ensure everyone has the latest features, it also helps to keep the platform as secure as possible. Microsoft confirmed to ZDNet that mobile updates will roll out at the same time as desktop ones, though this doesn't apply to users running Windows Phone 8.1 - you may have to wait a little longer before your Windows 10 Mobile upgrade appears. Carrier involvement is a particular problem in the US where updates such as this year's Denim patch can take weeks or months to come through. In future, users can expect shorter waiting times whatever part of the world they're in. Windows 10 Mobile brings with it better desktop integration, universal apps that work across all devices, and a sleek new design. Read about everything we know so far ahead of its launch later this year.